Step 1 Heat the oven to 350 degrees. In the bowl of a food processor, combine the flour, wheat flour, salt, cinnamon, butter and brown sugar, pulsing until they come together to form a somewhat firm dough. Step 2 Place the dough between two sheets of parchment paper and roll to a thinness of approximately one-eighth inch. Place the dough, still covered, on a cookie sheet and chill for 20 minutes. Step 3Carefully peel the top sheet of parchment paper and bake the dough until it is a deep golden brown, about 10 minutes. Cool the graham cracker completely, then crumble the cracker and pulse in a food processor until it is broken into coarse crumbs. This makes about 2 1/2 cups crumbs. 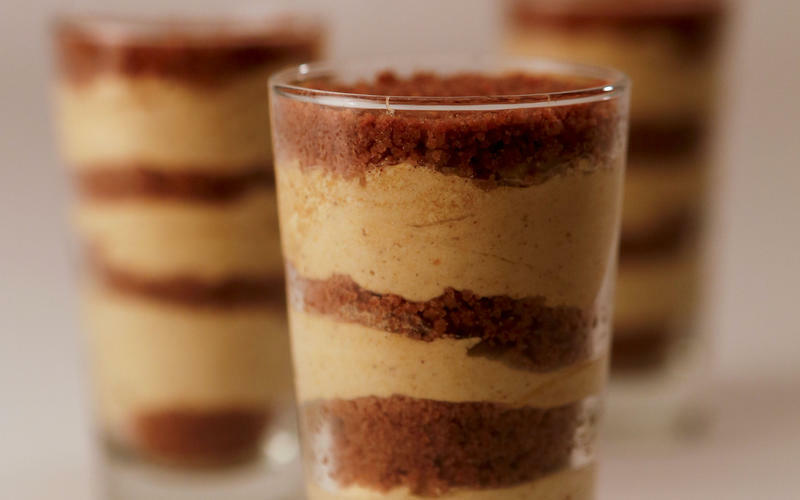 In Recipes-list.com we have selected the most viewed recipes from category - Desserts . Enjoy the best recipes specially selected for you! Autumn fool is the right choice that will satisfy all your claims.